Bruce Chilton | Amazing Lookalike! On the left is Bruce Chilton, Bernard Iddings Bell Professor of Religion at Bard College, New York. 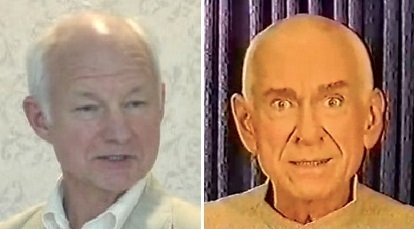 On the right is Marshall Applewhite, leader of Heaven’s Gate, the American UFO religion previously based in San Diego.